Now a days people are using various cloud storage services like google drive, dropbox, box, mega etc. People also using various kind of devices like android phones, ubuntu desktops, nexus tablets, chromebooks etc. Synchronizing Folders in Lan or Cloud are a real problem. The concept of synchronizing is a great idea. You can continue work where you left of one device. But without proper synchronizing and log the whole scenario will be messed up easly. You will lose control over the documents and its versions very fast. Here is a very nice tool to work on all devices and which completly manage the process of synchronizing all the files and folders with all of your devices and cloud services easly. 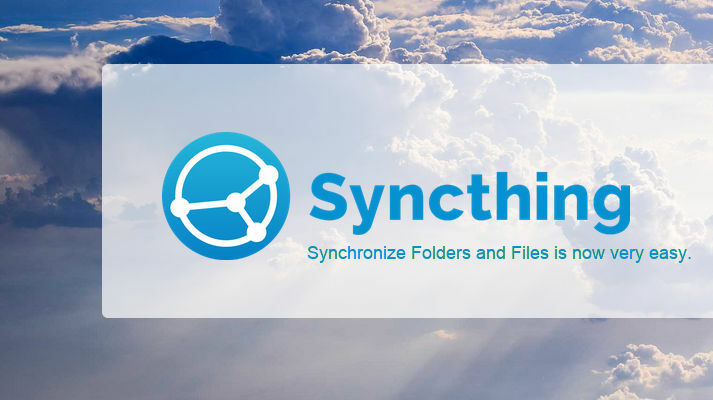 Syncthing is a great opensource project which manages all the synchronization of folders, files and documents in all the devices and services. Syncthing has clents for Windows, Mac, Linux and Solaris. Syncthing is also available for Android and F-droid. Here is a very nice Getting started documentation in Github about Syncthing. All the data is synchronized securly by using Private Key. All communication between various devices and cloud services is secured using TLS. The encryption used includes perfect forward secrecy to prevent any eavesdropper from ever gaining access of data. All the synchronizing point is identified by unique certificate. The protocol used for the encryption is a documented standard. All the sourcecode is available on Github. Syncthing has a very good and simple webUI. The software stays same as on all devices, also it simply works on a webbrowser. Run it on your desktop computers and synchronize them with your server for backup. Synchronize as many folders as you need with different people. Syncthing doesn’t need IP addresses or advanced configuration. Every machine is identified by an ID. Just give your ID to your friends to share a folder using syncthing. Simple as browsing the web. Syncthing has a GTK3 and python based UI. The GTK application is now has full support of Syncthing. Features like Adding / editing / deleting nodes, Adding / editing / deleting repositories,Restart / shutdown server and Editing daemon settings are now supported. All the Linux Distros are available now. SUSE, Fedora (rpm-based distros): in OpenSUSE Build Service. You can install Syncthing Package first. Windows: Get latest installer from here, or use the Chocolatey package. Or, in worst case scenario, download latest tarball, extract it and run syncthing-gtk.py. Syncthing on Google Play and Link on F-droid.